The Samsung Galaxy S5 was released rather low-keyed by Samsung’s standards, almost as though they were ashamed of it – it turns out that it is a solid device and something they can and should be proud of selling. However, it may just be that there was no glaring improvements – no QHD Display, no 64-bit processor, no new design – just an evolution of the previous Galaxy S4. The newer processors and displays were just not available this early in the year, so all the new flagships from Samsung, HTC, Sony, and LG all have about the same specifications now. Because of this, Samsung has been tooting their own horn about the features that may get lost in the translation of less excitement and they offered up four videos to help us understand just how much the Galaxy S5 has improved. The S-Health app is there to help you track and monitor your health – you can set up a certain number of steps that you want to achieve throughout the day and the Galaxy S5 will track each step and let you know when you have reached your goal. The Galaxy S5 is the first smartphone to have a built-in Heart Sensor on the back of the phone – you simply press your finger on it and immediately on your screen you will see the numbers of your heart beats per minute. Have you ever been in the situation where it looks like you are about to drain your battery and you need to make/wait a couple of emergency phone calls or waiting for an important text? The new Ultra Power Saving Mode will put your Galaxy S5 in a state where it will stay with power for at least 24 hours – depending how soon you go into that mode you could have service for days. The camera in the Galaxy S5 increased the megapixels from 13 to 16 and added their ISOCELL Technology to help with low-light photos. Samsung claims it is the first smartphone with Phase Detection Autofocus for quicker refocus so you will not miss a single shot. It also incorporates Selective Focus so that you can change the depth of focus even after you snap the picture. Another great feature that is not in the video is the ability to have active (High Dynamic Range) HDR – you can actually see what your HDR shot will look like before you take the picture. This video will remind us that the Galaxy S5 has a larger, 5.1-inch Full HD Super AMOLED display that is brighter, bolder and with more contrast for a sharper than ever experience – gaming is better and movies look fantastic. This is the brightest display Samsung has ever used and can be seen even when you are outdoors. Please let us know on our Google+ Page if you are a Galaxy S5 fan or if you will pass on the Samsung flagship – let us know what you think of the videos…as always, we love to from you. 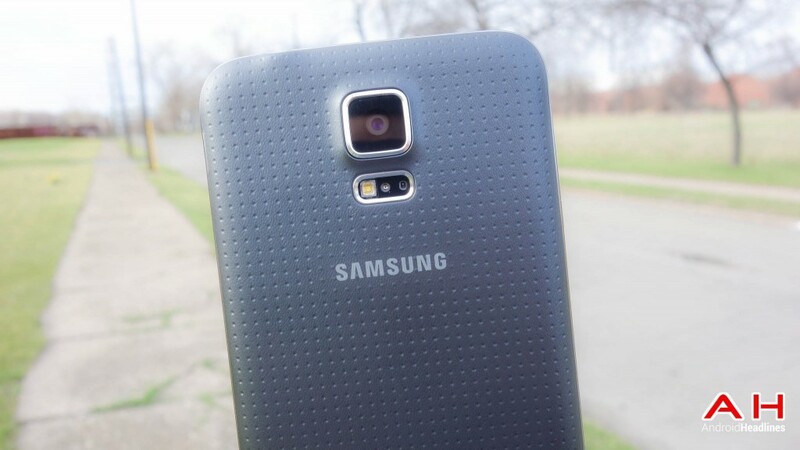 The post Samsung Galaxy S5: Four Videos/Ads That Help Highlight its Features appeared first on AndroidHeadlines.com |.